CoveCare Center provides mental health, substance use, and supportive services for adults, children, families, and seniors. Our innovative, compassionate approach to care fosters healing, recovery, and wellness. As a nonprofit organization with a commitment to ensuring affordability and access, CoveCare Center is dedicated to improving lives in communities throughout the Lower Hudson Valley. 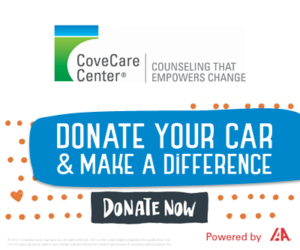 Mission: CoveCare Center’s mission is to partner with individuals, families, and the community to foster hope, wellness, and recovery, and to restore quality of life by addressing mental health needs, substance use, and social and emotional issues. Vision: CoveCare Center imagines a strong, united community where all people are valued, accepted, and empowered to live healthy lives. For over 20 years, CoveCare Center has been building a team and developing a culture to support our commitment to our mission and the needs of the community. Our focus has remained steadfast on our priorities and on our belief that everyone deserves to live a rich, full life. CoveCare Center promotes a unified community where the health and well-being of each person is valued. From our prevention efforts, to our many treatment services, to the interventions necessary during a crisis, CoveCare Center offers hope and healing throughout the Lower Hudson Valley. Whether you are a supporter of CoveCare Center or have been supported by us, or both, we thank you for being a part of our family. We appreciate being included in your journey to help and to be helped. Since 1997, we have been committed to partnering with individuals, families, and the community to foster hope, wellness and recovery. That won’t change. We’ll be right here if and when you need us.